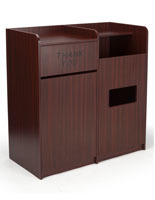 This top drop waste receptacle is small but mighty. 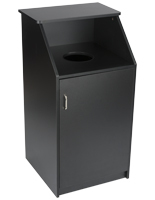 With a large compartment that accommodates a 36 gallon liner this simple trash cabinet holds a lot more than it appears to. 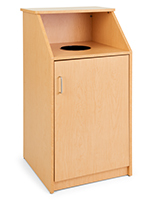 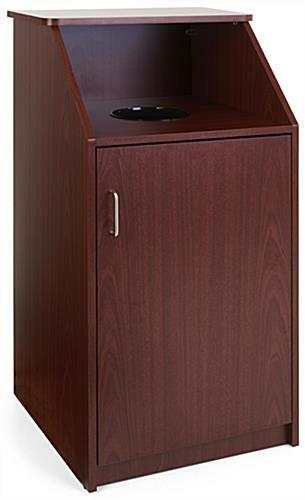 The sturdy waste receptacle is made of 18mm particle board and has a beautiful mahogany finish. 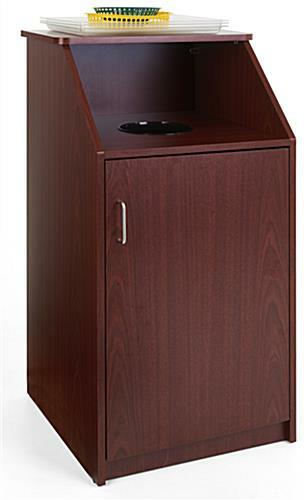 This trash cabinet features a circular opening which not only conceals the contents but also adds an additional surface area for resting your tray while depositing garbage. 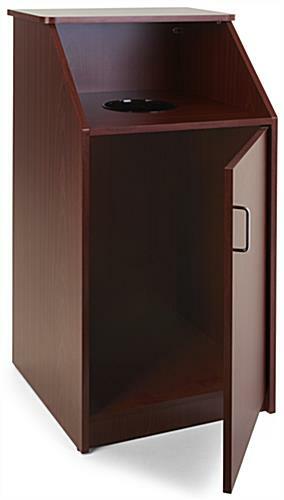 There is also a shelf above the hole which can be used for soiled dishes. 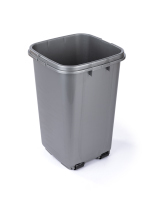 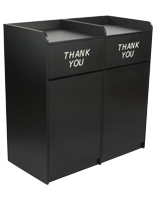 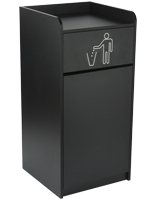 With its simple design, this waste receptacle will surely fit into any space and blend in with any environment. 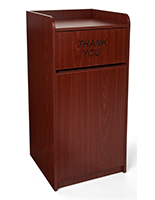 23.8" x 45.1" x 22.8"